Sony, Sharp to outsource LCD manufacturing | What Hi-Fi? Just two months ago Sony announced a near-50% increase in the workforce at Tijuana, following the announcement of the closure of a smaller plant in the region. The new alliance, in which Sony will retain a 10% stake, will continue to make Bravia TVs in Tijuana. While at least one analyst in Japan has already suggested this may be the beginning of the end of Sony's in-house TV manufacturing, a company spokesperson said this was just part of the company's plan to reduce assets and outsource more of its production. 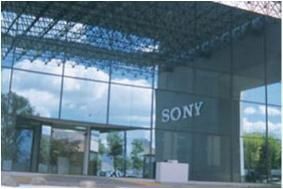 It's thought that Sony will instead concentrate its internal efforts on research and development. The Sharp deal follows hot on the heels of an announcement by LG Display of a deal with China's BOE Technology to invest in an eight-generation LCD plant. Both companies are seeking to address the huge demand in mainland China for LCD TVs. Currently most Chinese LCD plants use fifth-generation technology, using much smaller sheets of 'mother glass'. The larger sheets handled in eighth-gen plants not only bring greater economies of scale, but also make it possible to make much larger screens, of 50in and above. Sharp has also signed a separate deal with Nanjing CEC-Panda LCD Technology, which will buy the production equipment from Sharp's Kameyama LCD Plant No 1, as well as licensing sixth-generation production technology from the Japanese company. Finally, Sharp is planning to build an R&D centre in Nanjing early in 2010. That means the company will be able to do everything from development to panel manufacture and assembly of finished TVs in China.